Coolpad’s Dazen Note-3 has been officially launched in India. 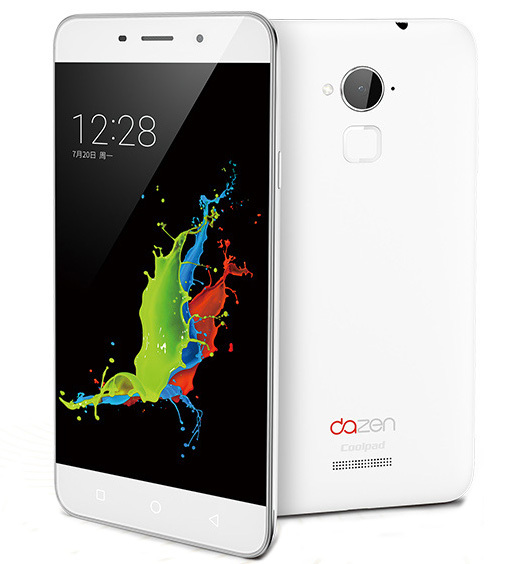 The new Coolpad Dazen Note3 is mid range smartphone with affordable price tag. Considering the specs it will be stable competitor for : YU YUREKA, Lenovo K3 Note, ZTE BLADE X9, LeTV LE 1S, LeTv LE 1Pro, Meizu Blue Charm Metal, Coolpad Dazen 1, Intex Aqua Ace, Xolo Black 1x, Oneplus X, Asus Zenfone 2, Gionee Elife S6 / S plus , Lenovo A6010, Xiaomi Redmi Note 3 and Samsung Galaxy J7 / J5. Coolpad Dazen Note 3 features 5.5inch 1280 x 720 pixels IPS display. To make the Phone alive there is 3000-mAh battery. It draws strength from 1.3GHz Octa-core processor and 3GB of RAM. It has 13Megapixel rear shooter can rec Full HD 1080p videos and 5MP front selfie cam. The Dazen Note3 comes with 16 gigs of internal memory and runs on Android 4.4 KitKat with Cool UI 6.0. It is DUAL SIM smartphone with 4G LTE connectivty.Apart from the above specs it also features Fingerprint sensor. The Coolpad Dazen Note 3 will be available at price of RS 9999. Right now you can buy it exclusively from Amazon at INR 8999 without flash sales.